You know that when your employees are in good physical and mental health, they are happier, more engaged and more productive. You may even have resolved to create a healthier workplace in 2019, but perhaps you’re finding it hard to take the first step or get to the next level, or maybe you worry that it’s all too difficult to do whilst running your small business. If that’s you, we’d love to see you at our (free to attend) ‘How to Create a Healthy Workplace’ event – taking place on the morning of January 24, 2019 – which will give you the inspiration and the know-how to start improving your workplace wellbeing. Naomi Scoffham and Claire Healy, HR Consultants at Business Clan, will be discussing the business benefits of promoting workplace wellbeing and the impact it has on organisational performance, sharing industry facts and figures to demonstrate the importance of wellbeing in the modern workplace. Matthew Carlton, Founder of Shine Workplace Wellbeing, will share examples, insights, and case studies from businesses of all sizes that are successfully implementing employee wellbeing schemes and initiatives – and are achieving notable business gains. The examples will hopefully inspire attendees, who will return to their workplaces full of ideas around how to start (or improve) their employee wellbeing programmes. Katie Driver, Founder of Thinking Alliance, will show how simple adjustments to meetings and conversations can improve the way we think and work together and give a big boost to wellbeing and business effectiveness. You’ll take away some tried-and-tested tools and tips to help you and your team feel more engaged and resilient as well as becoming more productive. Following the presentations our speakers will be joined by Nathan Winch from the London Healthy Workplace Charter and you will have the chance to ask the panel any questions you may have. There will also be the opportunity to chat more informally with the speakers and network with the other attendees. 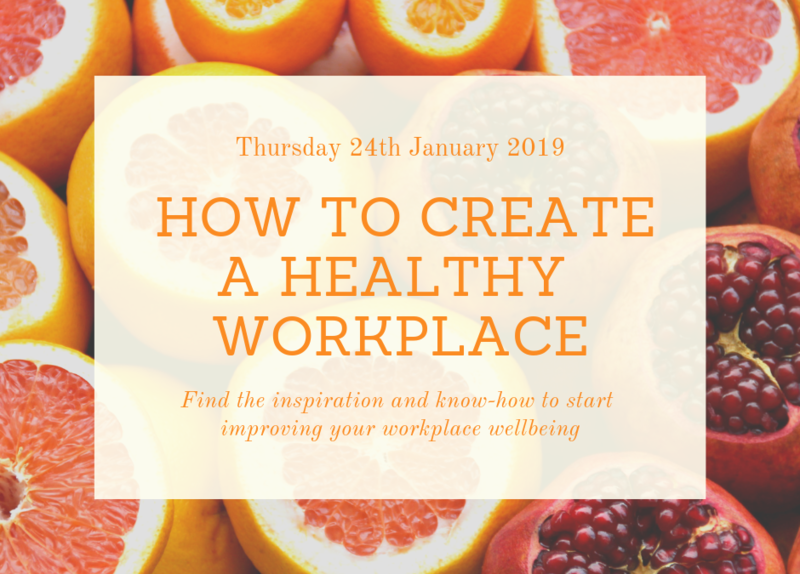 Our ‘How to create a healthy workplace’ event is free to attend, but numbers are limited so please email contact@shineworkplacewellbeing.com if you would like to attend. It will take place at Business Clan’s office on Thursday 24th January from 9:45am until around 11.30am. The address is: 16 West Barnes Lane, West Wimbledon, London, SW20 0BU – which is two minutes walk from Raynes Park train station – click here for more travel options. We look forward to seeing you.